Kekeno/New Zealand fur seals have something unusual in common with many young New Zealanders: they’re partial to the kiwi ‘big OE’. Have you found a seal in an unusual place or it looks injured? 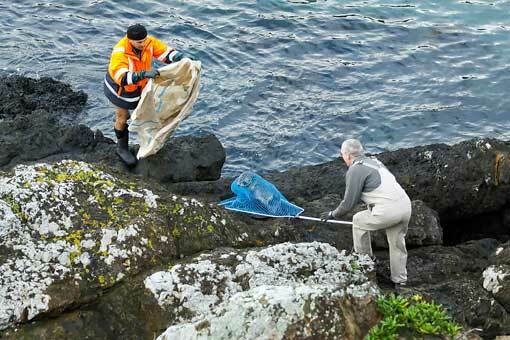 Here’s what to do when you find a New Zealand fur seal and why. 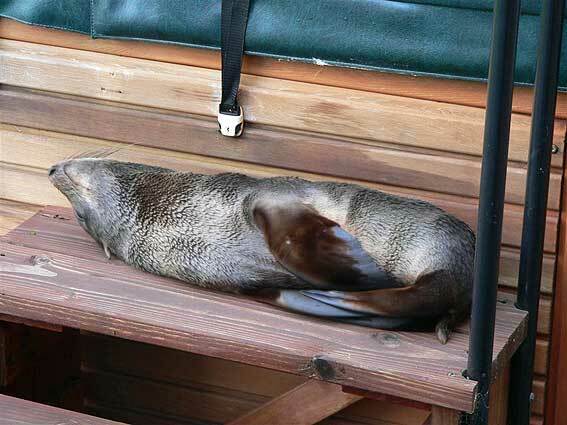 Sometimes New Zealand fur seals end up in places where shouldn’t be – like this guy, who was sleeping in the middle of Shelly Bay Road on Tuesday. Fancy enjoying a wilderness wildlife experience 500 metres from your 5-star accommodation? Want to see marine mammals up close whilst standing on dry land sipping a coffee? Then Mount Maunganui is the winter destination for you! Okay, maybe not quite wilderness, but the Bay of Plenty’s renowned summer party town is fast becoming a winter wildlife hotspot due to the recovery of fur seal populations in the area. Credit: Joel Ford, Bay of Plenty Times. Visiting fur seals are expected to make a major ‘splash’ in coastal communities along the Bay of Plenty this winter, including in New Zealand’s fifth largest city, Tauranga, and further up the coast in Whakatane. Together with resident little blue penguins, New Zealand fur seals should be coming ashore to rest, having travelled from as far south as Dunedin. Last year we witnessed spectacular shenanigans like this seal caught climbing onto paddle boats; an early morning visit to the Tauranga waterfront; neighbourly seals tapping on suburban patio windows; and of course the seal that went global after curling up on someone’s couch for the night. Seals don’t always get good press; and it’s true that they smell, bite and carry diseases—so it’s important to keep your distance. Some communities are also worried that seals will compete with us for seafood, although evidence suggests they feed mainly on anchovy and lantern fish, which aren’t so popular with humans. On the plus side, seals are a sign of a healthy environment. Historically, they lived all around New Zealand, so it stands to reason that if we continue to look after our place they will return to more of our holiday spots in the future. Next stop, Takapuna Beach? 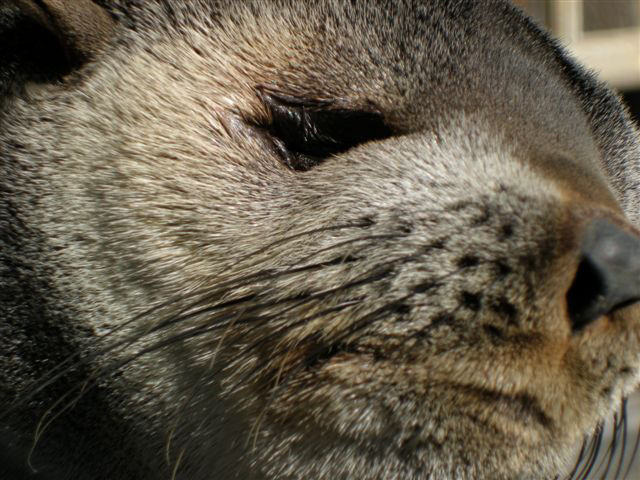 Visit the DOC website find out more about fur seals and conservation. Every winter there will be a few young NZ fur seals who find themselves in interesting places, often to the surprise and amusement of the people who stumble across them. It’s a common occurrence – they are just coming ashore to rest and will move on in their own time. This fur seal pup found a cosy position by a spa pool in the Marlborough Sounds community of Anakiwa. The exciting thing for me was that the spa pool belonged to friends of my family. So, on a Sunday afternoon I received an excited phone call from the Biggs family asking me what they should do. “If it’s not interfering with anything just leave it,” I said. “Enjoy it while it’s there – just give it some space because at this time of the year it might not be in great condition and will want to rest. “It’ll leave when it’s ready,” I assured them. Later that day I had an equally excited phone call from my parents. My father had been to see the seal pup and had taken several photos. From the photos we could confirm that it was one of this year’s pups, and was likely to have weaned early – seal pups usually wean around 10 months of age, but this one would only be about 7 months old. So, the pup hung around for the afternoon, resting next to the warm spa pool and, just as suspected, the following morning was gone. The perils of marine debris to our wildlife are fairly well known – be it the plastic filled stomach contents of an albatross, or a penguin nesting with a coke bottle, it’s always pretty gutting to witness. Last week we were lucky enough to make it in time to rescue a fur seal pup which had become entangled in a fishing net here in Wellington. Quite how the incident occurred we don’t know, but the poor wee thing was pretty raw around the neck as a result of it. Fur seals can be quite aggressive and give a nasty bite, especially when distressed, so DOC staff were sure to take a cautious approach. Once released of its unwanted necklace, the feisty wee pup headed off into the Taputeranga Marine Reserve for a swim around and we’re hopeful it’ll make a full recovery. Unfortunately, other fur seals around New Zealand haven’t been so lucky. 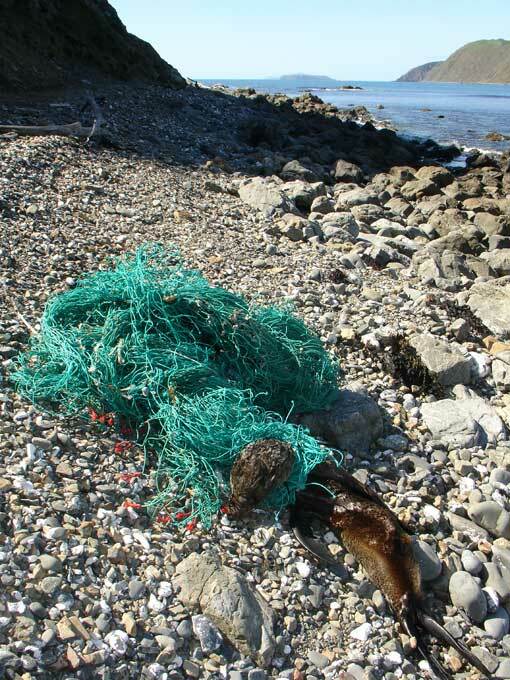 This fella was found dead in a similar style of fishing net on Makara Beach – also in the Cook Strait region. tell your friends and family to do the same. 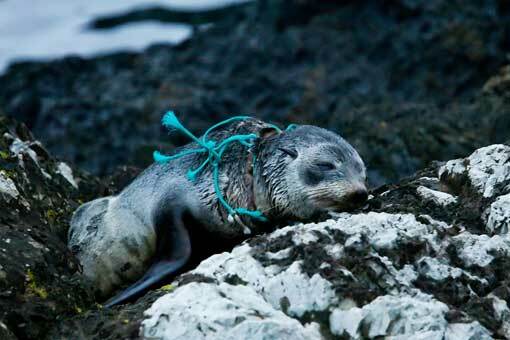 Have you ever seen marine debris threatening our wildlife? What did you do? Learn more about the New Zealand fur seal/kekeno on the DOC website.